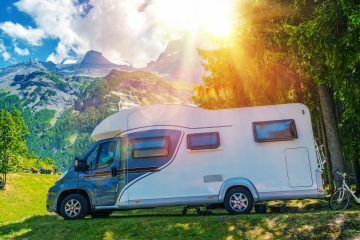 RV camping in North Carolina is beautiful and classic, so why not search out the most memorable spots there are? I have compiled a list of 11 of the most Unforgettable RV camping spots in all of North Carolina so that everyone can enjoy a little slice of heaven. 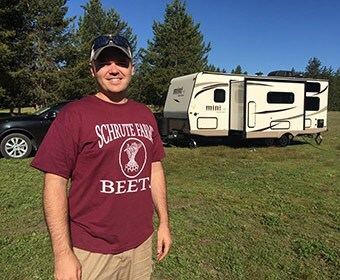 So, if you’re headed to North Carolina and you want to do some camping, look to this list because the places on here will not only blow your mind, but they will make you itchy for some great RV camping. 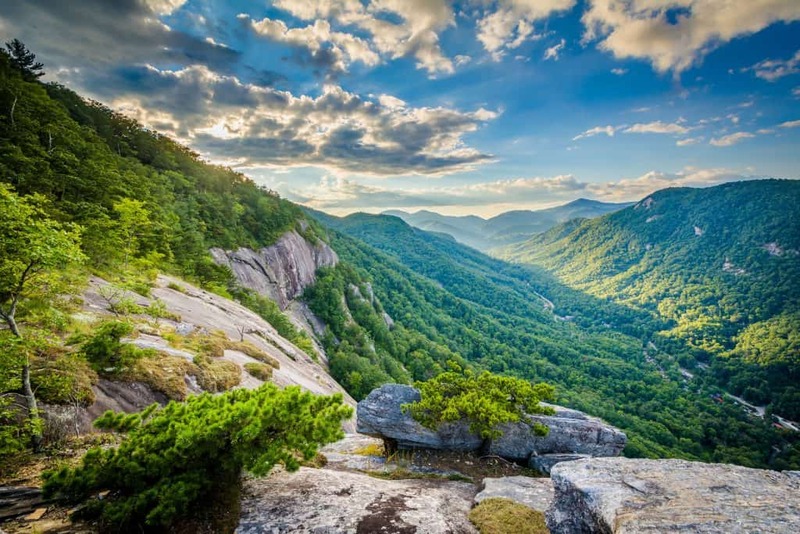 What are the Top 11 Unforgettable RV Camp Spots in North Carolina? These spots range from rustic to classic southern, to state parks, to the simply stunning. All of them are worth the time and all of them make for a great place to spend a vacation. North Carolina is full of RV camping that range from completely rustic to state parks, and to camping resorts. Forest Lake is a mixture of RV & camping and of a resort. Forest Lake RV & Camping Resort is perfect for a family get-a-way, for a weekend with friends, or even just an RV weekend for two. It has a huge arsenal of fun things to do, and there is something for everyone in the family. Located on 306 acres of rolling green fields, forests, and hills the Forest Lake RV & Camping Resort is perfect for a camping trip that is full of excitement and local attractions, but it is also perfect for quiet weekend surround a fire telling camp stories. This camping is nestled up next to the Yadkin River and also borders the properties lake. Out on the lake, you can boat, fish, and swim. There is a ton of wildlife at Forest Lake RV & Camping Resort that makes it come to life and shows you the beauty of North Carolina. So whether you are there for fishing and star gazing, or activities and fun with the family you will always feel the rustic outdoors in this campground. The next stop on the tour of unforgettable RV camping sites is Lake Myers RV & Camping Resort. Talk about fun and beauty mixed together to make for a great camping experience. Lake Myers RV & Camping Resort is spread across 74 acres of beautiful trees and views of wildlife. Plus with its close proximity to Lake Myers, it truly feels like an escape. One of the coolest things about Lake Myers RV & Camping Resort is that it is the best of both worlds (not to rip off of Miley Cyrus) but if you love being in the water there is more than enough activities, and if you prefer to stand on land there is nothing short of the amazing to keep you occupied. 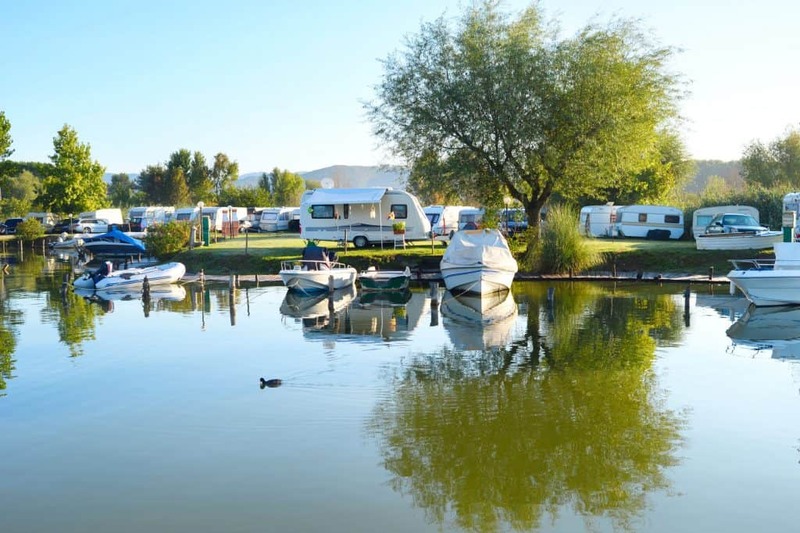 If you consider yourself a water lover and are convinced you should have been born with gills, then Lake Myers RV & Camping Resort is definitely the place for you. There are canoes and paddleboarding for the lake, there are waterslides and bumper boats in the pool, and then there are just so many swimming opportunities. 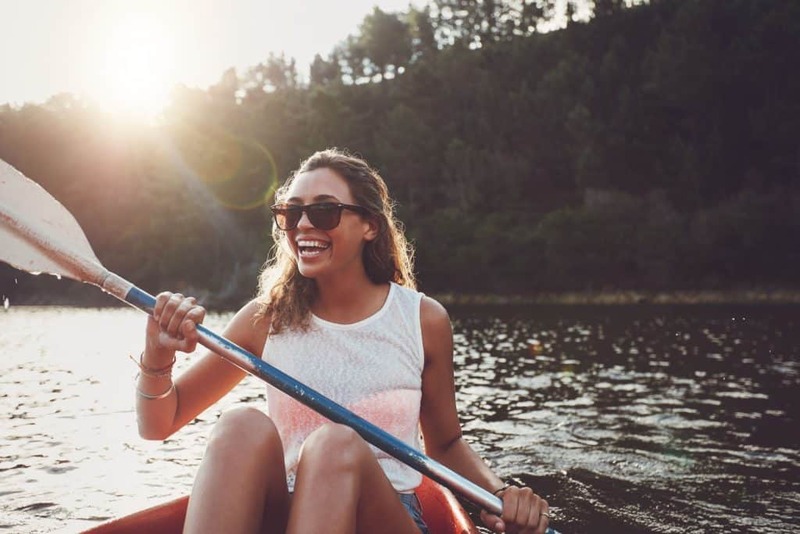 If you don’t mind getting your feet wet, but prefer staying on land, then have no fears because Lake Myers RV & Camping Resort has all the right things for you. There is fishing, an arcade, picnic shelters, miniature golf, roller skating, and organized activities. Who could ask for more? Plus will all the beautiful trees and scenery to stroll through, nothing could be better. Coming up next on our list is the impressive Murphey/ Peace Valley Koa Campgrounds. The Murphy/ Peace Valley Koa Campground is conveniently located right next to a river which allows for amazing fishing and beautiful canoe trips down into the town of Murphy. The North Carolina Hatchery stocks the river with rainbow trout, brown trout, and brook trout. Needless to say, the fishing at Murphy/ Peace Valley Koa Campground is good. Besides fishing and canoeing down valley river guests at Murphy/ Peace Valley Koa Campground love to kayak, tube, and float down. With the warm sun on your face and the cool refreshing water, it makes for the perfect family activity. If you want to get your family together for a little bit of healthy competition there is a volleyball court and a game room full of fun activities. Plus if you are old school like me, there is horseshoes and ring toss. If your family likes games like ladder ball and corn hole, you can find these family fun games located here as well. Murphy/ Peace Valley Koa Campground is all about family and fun, and they never leave anything but unforgettable memories. Wilmington KOA Campground is located about 5 miles outside of Wrightsville Beach and about 8 miles from the historic downtown Wilmington North Carolina. It is right in the middle of beautiful trees and terrain. There is a ton of fun things to do at the campground including swimming and nature walks, but if you like to venture out as well, there is an amazing aquarium right next door. Wilmington KOA Campground is all about families and socializing, that is why there are ice cream socials and movie nights all throughout the summer months. Who doesn’t like ice cream on a warm summers day, or enjoy watching a family-friendly movie under the stars? More than ice cream and movies there is also a jump bad for kids, cookouts on the holidays, and sports and games for families and the friends they make. For the little ones, there are fun activities like a little train ride and mining for gem and fossils at the Cape Fear Mining Company. Don’t worry, it is located right at Wilmington KOA Campground, so you never have to leave. 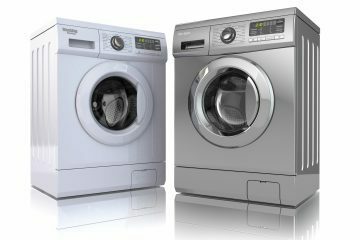 There are so many fun things to do at Wilmington KOA Campground. Right in the middle of Wallace lies a time old secret (that isn’t really a secret and never was one) and that is the beautiful Lake Leamon. Located right on the lake is Lake the Leamon Campground. 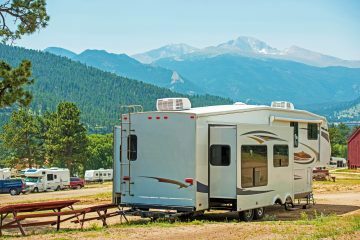 There are water and electric hookups for your RV plus picnic tables and campfires to help make you feel at home at the Lake Leamon Campground. This is such a fun place to bring the family for a week during the summer and offers lots of beautiful shade from all of the stunning trees. Plus with the bathrooms and showers, this place can be awfully cozy. With the boating ramp and opportunities to bring your own canoes and paddleboards, this lake is awesome. Little kids love jumping off of the dock into the water and swimming around. It is a lot of family fun. The next lakeside beauty we get to look at is Camp Clearwater. Camp Clearwater happens to be located on the amazingly beautiful White Lake, which is 1,100 acres of clear and beautiful water. Hence the campgrounds name Camp Clearwater. Known as the largest family campground in North Carolina, Camp Clearwater and its beach are considered one of the nation’s safest beaches. It has white sandy beaches with nice sloping shores which make it immensely popular and a terrific place to camp. Nights spent at Camp Clearwater won’t be easily forgotten because of their splendor and magnitude. There are four piers located along the 1,300 feet of beach that Camp Clearwater owns and views from the lake are unstoppable. Camp Clearwater is a stunning place to take your family and one that you will want to come back and visit again and again. At Country Girl’s RV Park there is a peace and serenity that encompasses and follows a visit here. 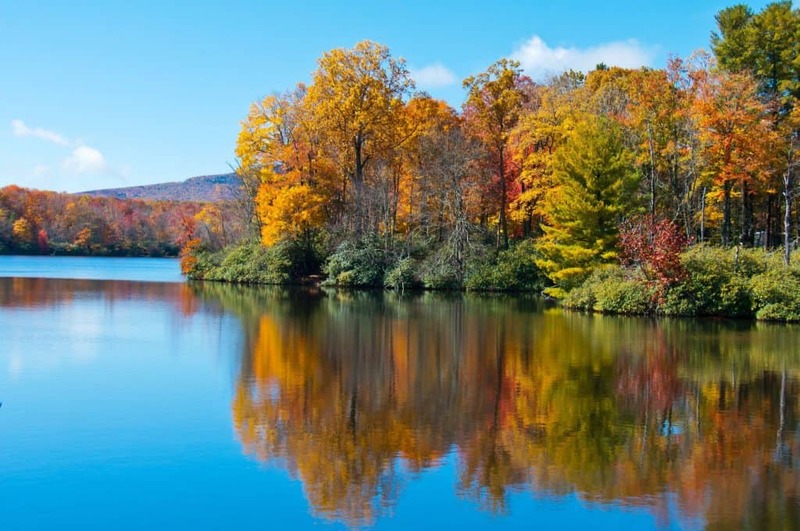 Country Girl’s RV Park is built right on the banks of the Tuckasegee river which makes its beauty outshine everything around it. You get your own private deck when you stay at Country Girl’s RV Park, and you can enjoy the sun and sounds of the river, or get is and relax as swim around and float the river. Plus the campground is beautiful, so walking around is always a plus and tons of fun. Country Girl’s RV Park is perfect for family vacations or a weekend for two. It is tranquil and relaxing but can be fun and exciting. 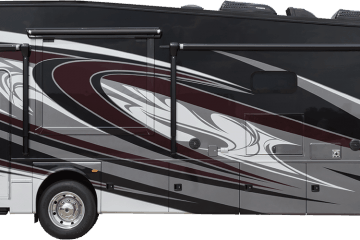 Plus you get to bring your RV along, so who wouldn’t enjoy it. 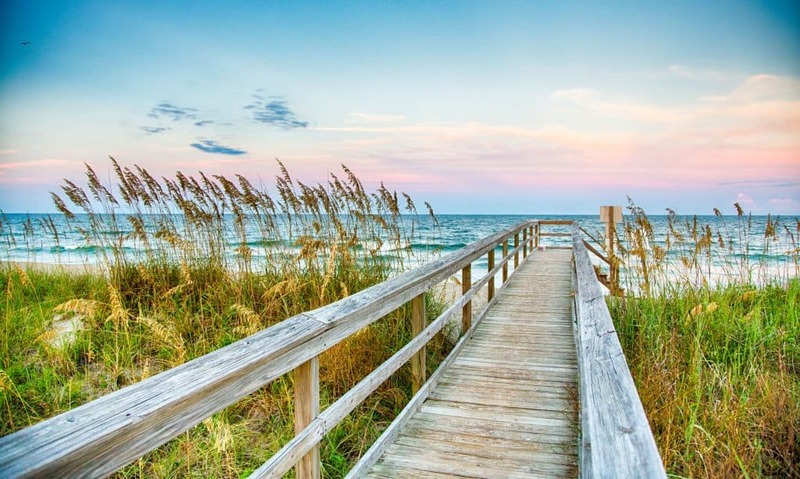 Located on Hatteras Island and surrounded by the ocean on the east and the Pamlico Sound on the west to say the views here were gorgeous and unforgettable would be an understatement. 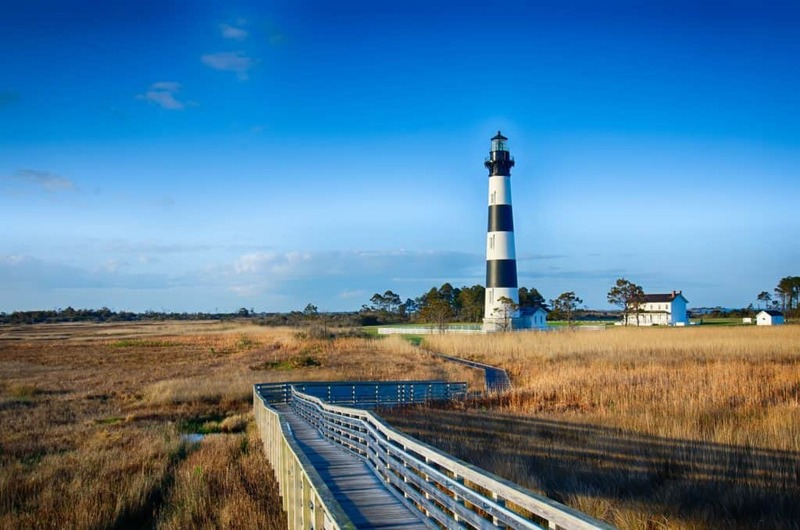 Camp Hatteras RV Resort and Campground is beautiful and lots of fun. There are planned activities during the summer and it is the perfect place for families and friends. There are some really cool lighthouses as well as the Wright Brothers Memorial located on the Island plus the swimming opportunities are incredible with the ocean, the lagoon, and the three pools and hot tube. Our first state park is the Jordan Lake State Recreation Area and it is beautiful. It is a combination of nine different areas that are scattered around the 14,000-acre reservoir that is undeveloped. 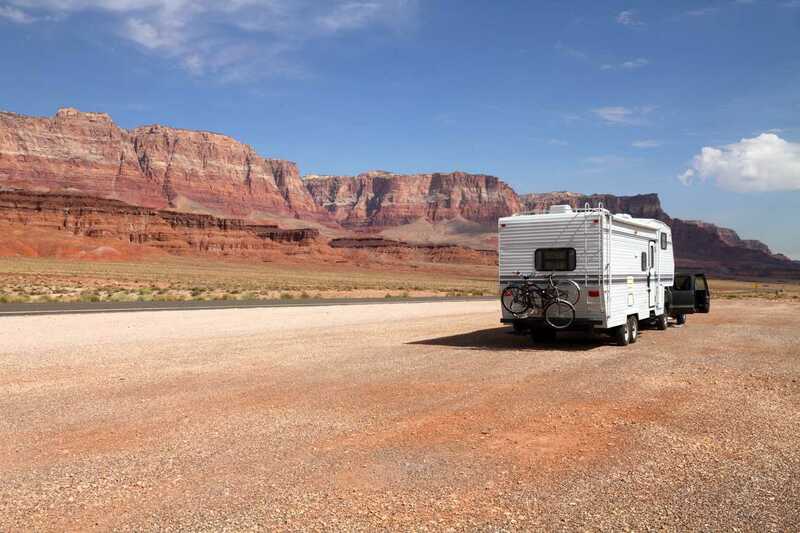 There are over 1,000 camping spots spread out between these different areas and many of them have RV hookups. At seven of the nine areas, there are swim beaches and a number of boating ramps. There are about 14 miles of beautiful hiking trails that offer easy and family-friendly hiking. There is plenty of opportunities to see wildlife hiking, swimming, and camping. IT is an unforgettably beautiful place. Since Jordan Lake State Recreation Area has 9 different campsites, the amenities are not all the same, so the list below is a generic list of amenities. The Carolina Beach Family Campground is the perfect place to take your kids for the camping trip of a lifetime. It is beautiful, fun, and has a lot of cool amenities. If you love to fish, swim, do water sports, and just love water then this is the place for you. Not only does Carolina Beach Family Campground have the ocean to the east of them, but they also have the river flowing on the south side of their property, so you really can’t go wrong as a water lover here. There are two water parks just up from the campsite that offers fun by the river and a lot of really nice fishing opportunities. Mix that with the boardwalk less than a mile away and you have a seriously beautiful campsite. The Waterway RV Resort is a beautiful resort that is fun for parents and kids. 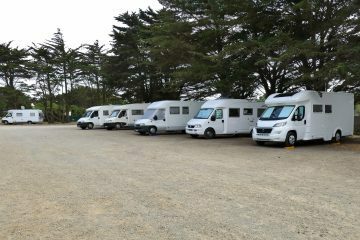 People love it and spots fill up fast so this place is a must come if you want to have an unforgettable RV camping experience. Offering beautiful views and family experience this place is a classic for many families and get the best of reviews. Kids love fishing and swimming in the pool while the parents love the family time and hiking trails for nice leisurely strolls. When should I visit North Carolina? Visiting in the spring and fall months will give you cooler weather and fewer people, but people love coming in the summer even through the heat. The beaches and the mountains in North Carolina are great in the summer. What is the hottest month in North Carolina? The hottest month in North Carolina tends to be July, but July and August are close in that department. Fall doesn’t really start until the end of September, so the peak is definitely during July and August.